Electric locomotive class 254 of the railway company of the German Democratic Republic (Deutsche Reichsbahn). 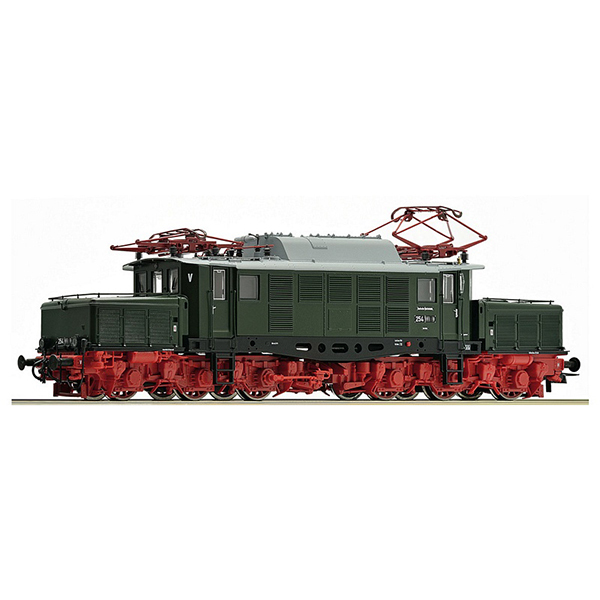 With their striking design, the locomotives of the E 94 series were among the best-known electric locomotives in Germany. They quickly earned the nickname "Crocodile" and were thus widely known. The sophisticated design of the locomotive had also effectively proven that with an axle hung drive the locomotive was able to reach a maximum speed of 100 km / h. The remarkable hourly output of the E 94 was 3240 kW (4400 PS) and the accelaration output even 3900 kW (5300 PS).